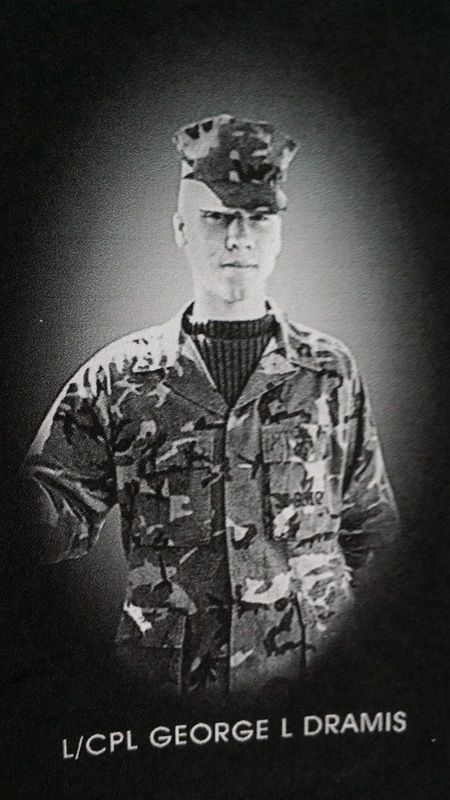 George Louis Dramis was the last United States Marine to die in Lebanon as part of the Multi-National Peace Keeping Force. He gave his life in the service of his Country and his Corps. Hometown: Cape May Court House, NJ. Died: January 30th, 1984 in Beirut, Lebanon. 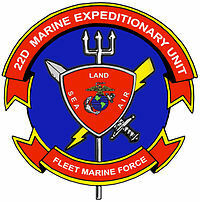 Unit: US Marine Corps - 22nd Marine Amphibious Unit. Incident: Died from sniper fire during an attack on Marine position Bedrock. George Dramis was born September 29, 1964 in Cape May Court House, New Jersey. He enlisted in the United States Marine Corps in September of 1980. After graduation from the Marine Corps Recruit Depot, Parris Island, South Carolina, he was assigned to the Fleet Marine Force-Pacific and served with Marine units in the Philippines. He was then sent to Camp Lejeune, North Carolina, where he was assigned to a battalion landing team as part of the 2nd Marine Division. On October 18, 1983 George and his unit, the 22nd Marine Amphibious Unit departed from Morehead City, North Carolina. The unit was on there way to relieve the 24th MAU in Beirut Lebanon. October 20, 1983 the unit was diverted to Grenada, and on 25 October, the 22nd MAU landed on the Beaches of Grenada, in harms way. During this operation George received a meritorious mast for his bravery in Grenada. By Oct. 31, Operation Urgent Fury was over and the 22nd MAU backloads from Grenada. They then steam for Beirut Lebanon. November 17, 1983 the 22nd MAU relieves the 24th MAU in Beirut. Dramis and his unit were deployed at the Beirut International Airport as part of the Multi-National Peace Keeping Force. In the early morning hours of January 30, the Marine position known to the Marines as "Bedrock" came under heavy fire, in one of the most fiercest firefights the Marines had been in. The fighting would last for hours and into the evening, with the Lt. directing fire from his position, and George by his side. As the firefight subdued a lone sniper's bullet struck and killed him. 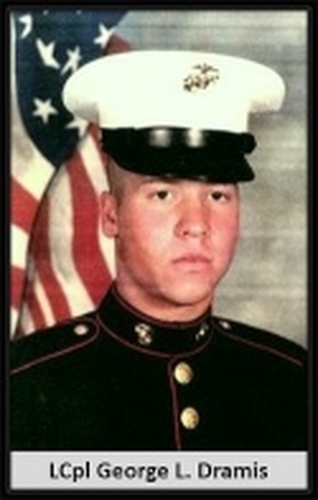 CAMP LEJEUNE, N.C. — As the U.S. Marine Corps marked the 25th anniversary Oct. 23 of terrorist bombings that took the lives of more than 240 brave American servicemen at the airport in Beirut, Lebanon, the Cape May County community mourns the loss of one of its own, Lance Cpl. George L. Dramis, who was killed in the aftermath of that terrible tragedy. The 19-year-old Dramis was the last U.S. Marine to die in Beirut as a part of the multi-national peace keeping force deployed there during the Lebanese Civil War. He was killed Jan. 30, 1984 by a lone sniper’s bullet in the waning moments of a fierce firefight, according to www.beirut-documentary.org/dramis.html. 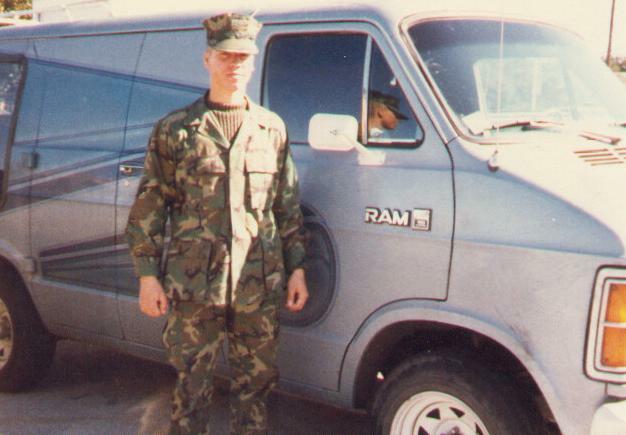 Dramis, a former student of Middle Township schools, served the Marine Corps in the Philippines and in the 1983 invasion of Grenada where he received a commendation and promotion to lance corporal. 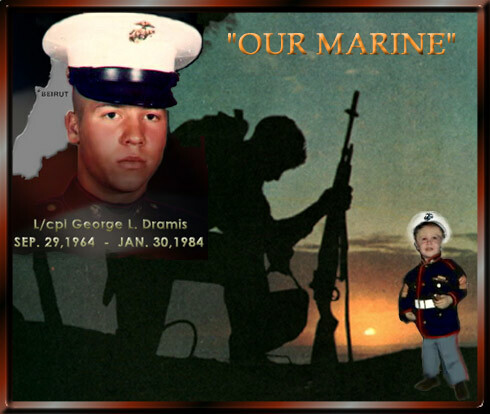 Dramis’ father, James, who passed away in 2005, served as a Marine and was also a Middle Township police sergeant. His mother, Luretta Undercuffler, was a long-time employee of the county Mosquito Control Commission. According to a 1984 Philadelphia Inquirer story, Dramis’ mother said, “It was God’s will,” after she was informed of her son’s death. The same article suggested Dramis remained loyal to his country, supporting the Marines’ mission in Lebanon, even in those difficult times. “Please remember our Marines killed in Beirut, Lebanon. My son, L/Cpl. George L. Dramis USMC was the last Marine to be killed in actual battle in Beirut leaving behind four sisters that dearly love and miss him,” she wrote. “His last letter home began, ‘By now you know, I won't be coming home ... Please keep me in your memories.’ Please help us by keeping him and all those Marines in your memory too ... Semper Fi...” wrote his mother. According to May 2, 1984 column by late Herald Editor Joe Zelnik, the Dramis family received over 1,000 letters of condolences and answered every one. When Dramis died in Beirut, he left behind a brother, Robert, and four sisters: Nancy, Dana, Suzette and Jamie. The Cape May County detachment of the N.J. Marine Corps League is named in honor of Dramis, detachment leader Donald McDevitt told the Herald. In 2004, state League Commandant Richard Basile posthumously awarded Dramis the Distinguished Citizens Award, the highest award he had the authority to grant. 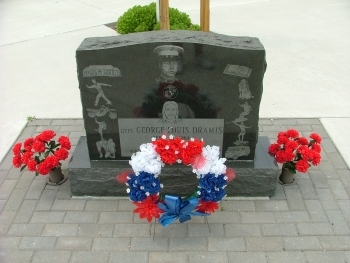 A memorial to Dramis stands on a 1,500-square-foot island at the three-way intersection of Dias Creek Road, Shunpike and Stites Avenue in Court House, adjacent to T.E. Wood American Legion Post 198. The memorial is engraved with important things from Dramis’ life: wrestling, football, skiing, surfing, dancing, his home, his education, his religion, a motorcycle, a van, and his dog, Louis.